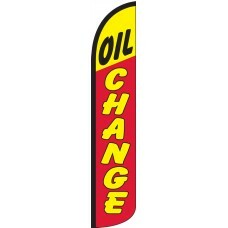 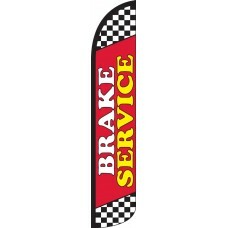 Our selection of auto service wind-free feather flags are a perfect way for auto repair shops and service departments of car dealerships to attract new business. 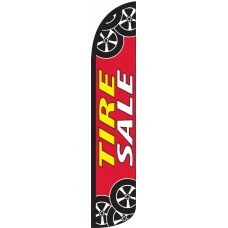 We offer flags that will draw attention to the most popular services offered my most auto repair shops: Tires, Brakes, Oil Changes, and much more. 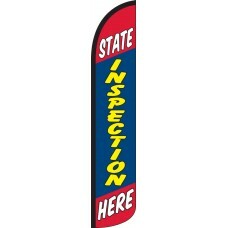 For most auto repair shops, attracting just one customer will pay for the cost of a flag set. 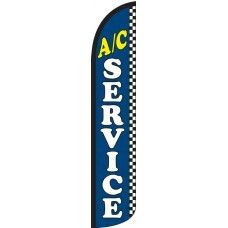 We advise service stations to install feather flags across the front of their business with the various services they offer to attract the most new customers.